EAMDA 47th Annual General Assembly (AGA) took place between 20th and 23rd September, 2018 in Prague, Czech Republic (Clarion Congress Hotel). The event has been traditionally divided into three parts: medical, social and administrative part. 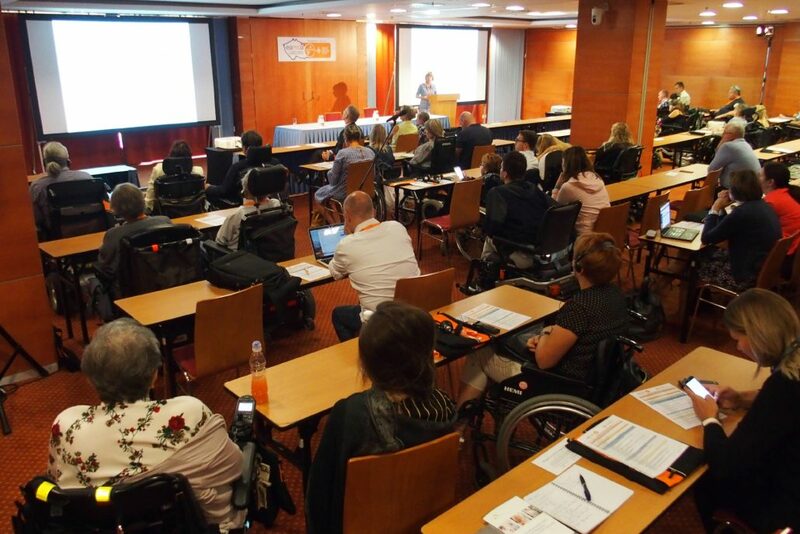 Within the medical part, top experts in the field of neuromuscular disorders (NMD) from all over the Europe have been presented. They showed innovative approaches in eliminating the secondary consequences of the underlying disorder, as well as the modern methods of the treatment. Thus, the program of medical part was divided into several sections: Diagnosis and new therapies in NMD, New clinical trials and approach in NMD, Cardiological and respiratory care, and Restorative rehabilitation and treatment. Medical doctors, scientists and other experts presented the new therapies currently available for people with NMD, clinical studies and research news, new possible treatments as well as patient advocating and improvement of quality of life for people with NMD on multidisciplinary level. The social part again demonstrated the importance of its integration in the program, as it connects complementary with medical part. In the social part people with NMD from different countries have been presented. They showed that despite of high degree of disability and diversity of health-social conditions they successfully develop their intellectual potential. An important event organized within the social part of the program was the implementation of a round table on the challenges associated with the introduction of new NMD treatment methods in different European countries. There is no secret that new possibilities of etiology treatment are becoming available to treat NMD, and that a realistic prediction of the genetic treatment arrival is being on the way. Some European countries are already among the leading ones in Europe by introducing new forms of treatment, while others are developing infrastructure to start treatment with them. The great challenge of financing expensive drugs for rare diseases, among which NMD is definitely taking place, has been also stressed out. Every country in the EU is putting efforts to solve the problem of financing new therapies, and in EAMDA we are convinced that a reasonable solution can only be found by persevering in a consensual dialogue involving all participants: insurance companies, medical doctors, pharmaceutical industry and representatives of people with NMD. In many countries mentioned linking form of the dialogue already appears to be the most effective. The administrative part has been organized within parallel section of the conference, where an AGA as the highest EAMDA statutory defined organ has been held, followed by two EAMDA executive meetings. Over 120 participants took part in the event, namely delegates, representatives of NMD associations and lecturers from eleven European countries (Slovenia, Slovakia, Poland, Croatia, Serbia, Bulgaria, Italy, France, Switzerland, Turkey and the Czech Republic).